Made with Trinitario cacao butter from the Yuna River Valley in the Dominican Republic combined with Swiss alpine milk this bar is delightfully sweet and creamy. 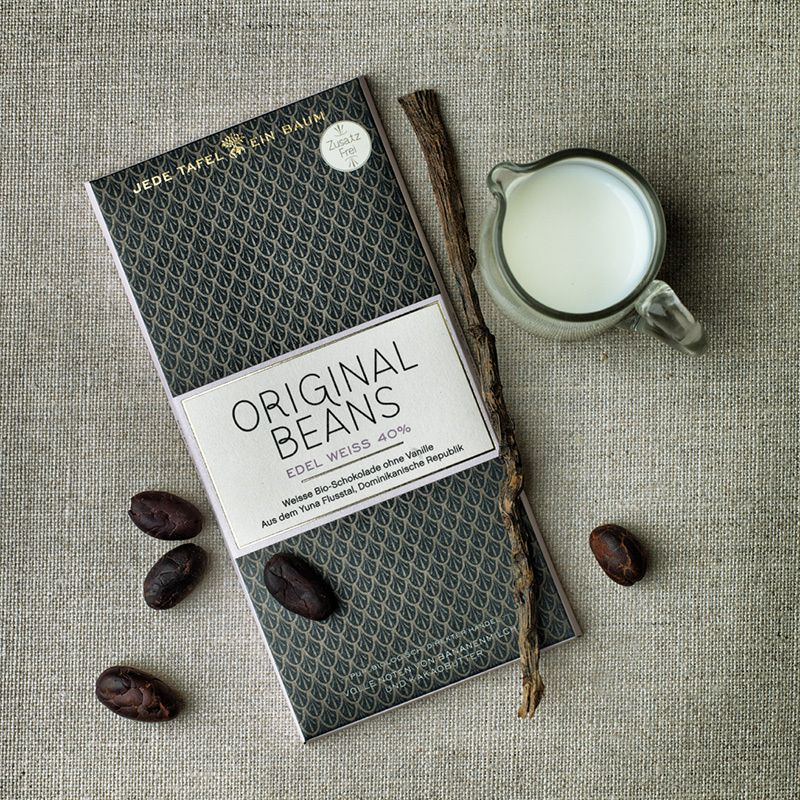 In fact, the quality of the ingredients is such that it requires no added Vanilla, truly remarkable for a white chocolate bar. 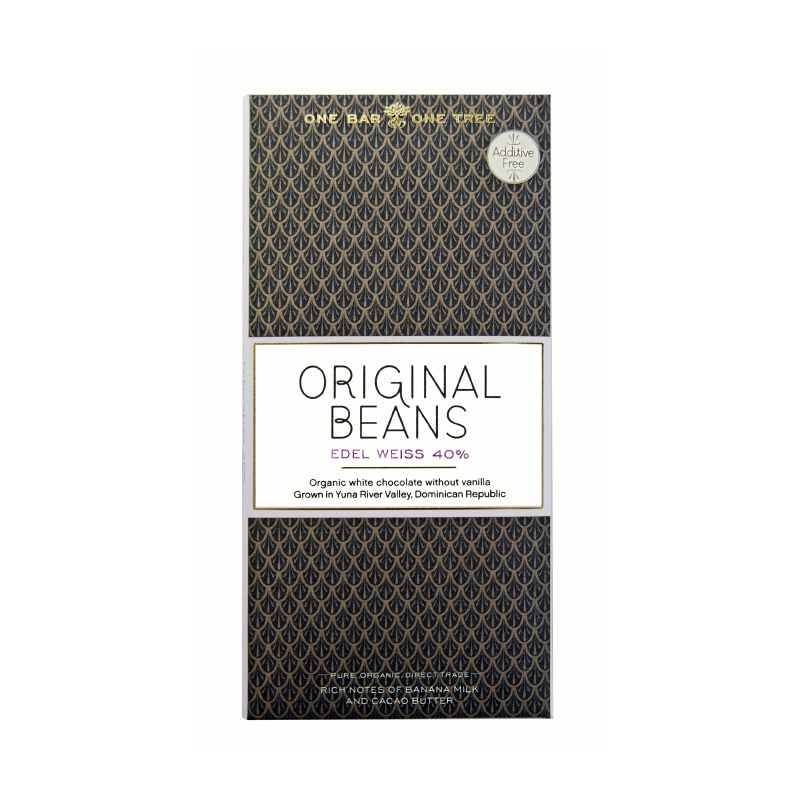 With rich notes of Banana Milk this is a deliciously different white chocolate bar, definitely one to try. Organic direct-trade cacao butter, organic raw cane sugar, organic whole milk. May contain traces of nuts, lactose and soy.